The Future of Crystal Cruises: Where Does Crystal Symphony Fit In? When Crystal Cruises started in 1990, it launched with a single vessel, the beautiful Crystal Harmony. 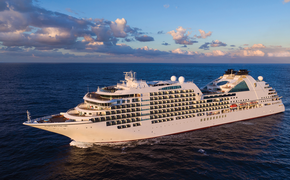 It wasn’t until 1995 that the luxury line first expanded with a second ship, the Crystal Symphony, which just now happens to be the oldest ocean vessel in the fleet. As we currently sail on a California Coastal itinerary aboard the classic ship, we thought we’d take a look at just where the vessel fits into the line’s rapidly expanding portfolio of luxury travel products. To be sure, the Crystal Symphony is not the oldest vessel in the overall fleet. The latest Crystal River Cruises brand begun with the vastly remodeled Crystal Mozart, which originally launched in 1987, but that riverboat was dramatically overhauled to the point of appearing like a brand new ship. The Symphony, on the other hand, is honestly looking a bit dated. Sure it has been continuously refurbished, with $20 million last spent in 2014, but she does not look quite as modern as the Crystal Serenity, which first came online in 2003 and was more substantially redesigned in 2013 to the tune of $52 million. READ MORE: What's Next For Crystal Cruises? Both ocean ships still look timeless from the outside, save for the Symphony’s surprising amount of exterior rust at the moment, but the Crystal Serenity and fleet beyond display a much more refined interior design of soft silvers and light blues and greens. The Symphony is much more of a hodgepodge, with elements of the latest decor sandwiched between aging dark woods and golden accents. Penthouse accommodations feature nicely updated bathrooms, bedding, furniture, carpets and drapes, all with the latest hues, but burnt orange-finished cabinets stick out in comparison. 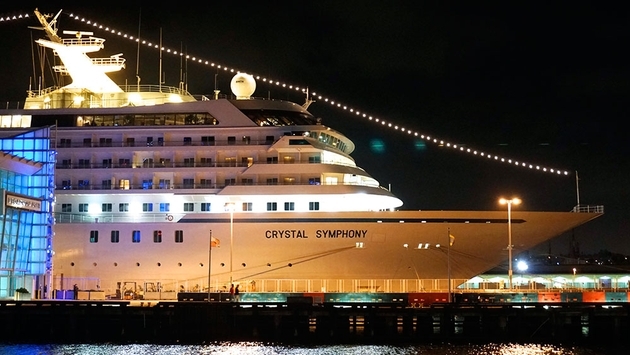 Crystal has announced, however, that the Symphony will receive another major refurbishment, reemerging in 2017, and I can only hope it will bring the ship much closer in line to the Serenity and Mozart as the brand-new Crystal Bach and Crystal Mahler riverboats also launch the same year. Set to be included on the revised Symphony will be full open seating dining and more suites. Of course, the first of three larger 117,000-ton Crystal Exclusive-class ocean ships is set to launch in 2022, and by the time the trio is fully out, the Symphony may very likely be considered for transferring out of the fleet as the Harmony eventually did. But there is still time before then, and it is great to see the line put its money where its mouth is by updating the ship in the meantime.